Are you sure, you want to add Now You See Me to your wish list? Are you sure, you want to buy Now You See Me? 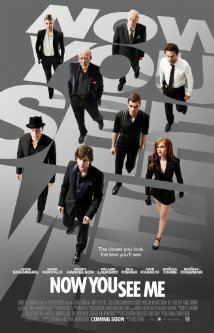 Are you sure, you want to order Now You See Me ? 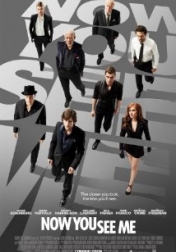 Now You See Me is a fresh spin on a heist movie. Likeable characters, creative tricks, good acting, and a touch of action make for a smart and fun show. The one sore spot in this movie is the extremely fast paced script. For those with short attention spans, you might praise this. For those wanting a well paced movie, you might find yourself wishing certain aspects were fleshed out more. There is nothing during or after the credits If you like my reviews, add me as a fan. I'll add you back! I really liked this movie. It kept me guessing the whole time and I couldn't figure out the ending. I found it very entertaining. Definitely a must see.